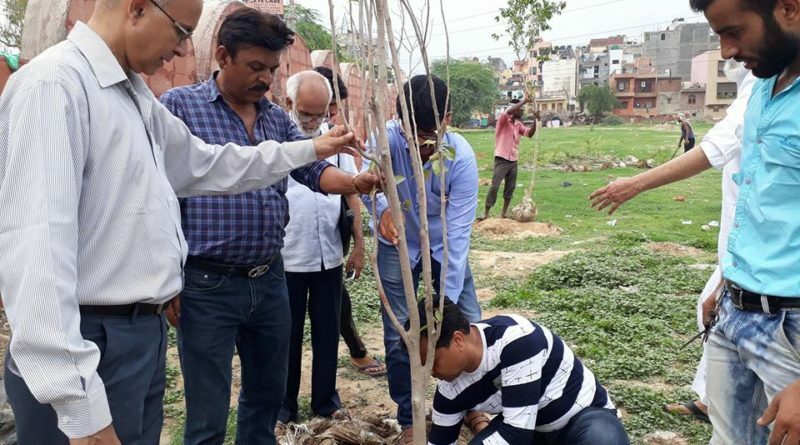 In a bid to curb rising air pollution in Delhi, a tree plantation drive was carried out in Jamia Nagar area. Notable residents of Batla House participated in the drive including district head Afsar Alam, Batla House Block H RWA vice-president MSZ Abbasi, Bahar Alam, and Block A, B, C, D residents SH Rehman, KA Abbasi and Nazim Ansari among others. 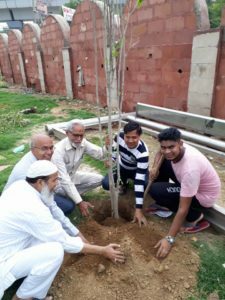 Under the program 25- 30 trees were planted in the Batla House graveyard near Jamia metro station. The residents have volunteered to keep a watch on the trees to ensure that they remain safely planted. As the graveyard land is quite fertile, the trees are expected to grow well in the coming years not only providing relief to passersby but also helping to clean the environment a bit. With a population growing at exponential rate in the area, it is a small effort towards giving the residents a cleaner air to breathe. A similar green drive will be carried out in Shaheen Bagh graveyard.